I have my first campanotus queen. And she has been caring for what I think is 1 egg. My question is what are the stages of development for it and what each one looks like so I can have a better idea when I will need to put the test tube setup In a out world. Thank you to any how read this and all help is very welcome. Egg-larva(grows looks like a small grub)-pupa(looks like a cocoon)-ant. You will only need to put them in an out-world when you have 3+ ants. Make sure only to check the queen once a week because camponotus queens can get stressed really easily. So I should not give them food if she only has 1 worker? Won't it go hungry? And it looked like a small ant in a shell but last I looked it looked different? In this picture you can see pretty much all brood stages of Camponotus (barbaricus). Remember that your first workers will be a bit smaller than the regular ones (it is also possible that your ants may have naked pupae when in a test tube, this is nothing to worry about - they just failed to latch on their silk strains to the glass surface and thus pupate without a cocoon). When the first worker arrives you can put them into an outworld and offer a small drop of sugar water or honey. 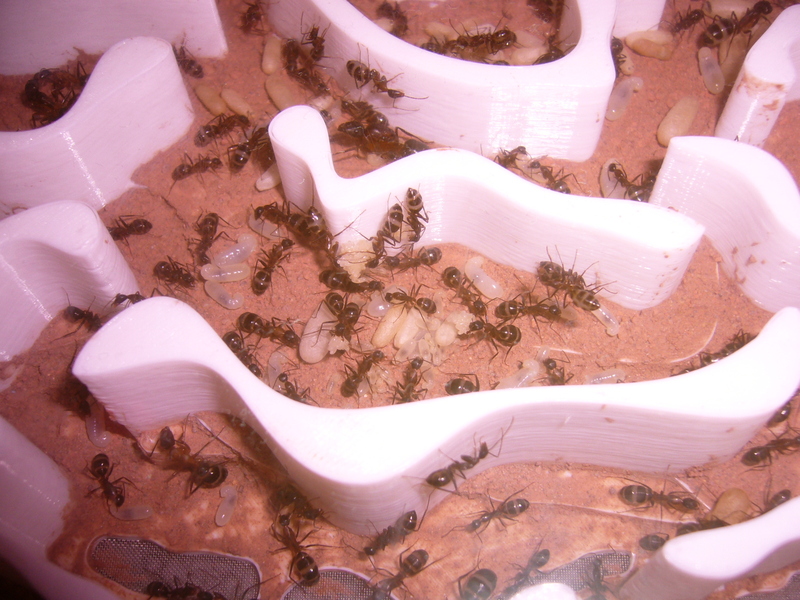 However the queen has some reserves and it is unlikely that the colony will start to forage before there are at least 3 workers, unless the queen is extremely exhausted. Camponotus are generally pretty smart, there is little risk that they drown in liquids (unlike other ants, especially Pheidole) but a small drop is sufficient anyway. You can also offer a bit of protein (very little, a fruit fly is enough for the start) which they may or may not take.